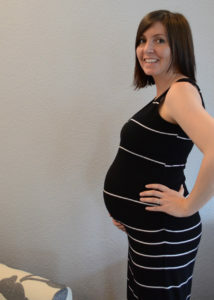 This week was a bit uneventful in terms of our pregnancy, but a bit busy and crazy in terms of the day-to-day. But boy do these weeks feel like they are flying. 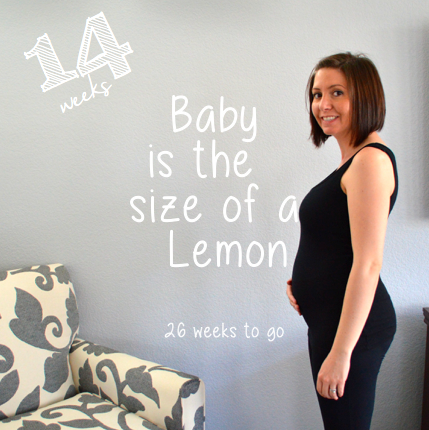 This week we are 23 weeks pregnant, with only 17 weeks to go. Yikes! How big is baby? 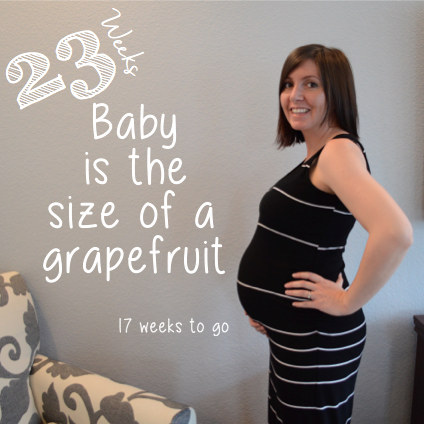 23 weeks pregnant, baby is the size of a grapefruit. Weight gain: I am not sure where I am in terms of weight gain this week, and I am afraid to check. Stressful weeks mean I have been eating horribly, so the scale is probably reflecting that! Symptoms: In addition to back, rib and hip pain, I have been feeling really bruised on the underside of my stomach. I feel like my stomach is just having to stretch too quickly, and it is really uncomfortable. And this week heartburn has been pretty terrible! 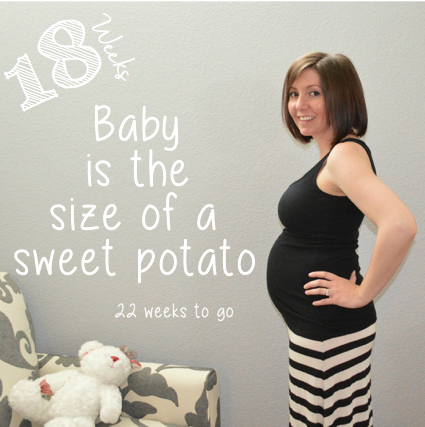 Appointments: No appointments this week, but just one more week until our 24 week appointment. 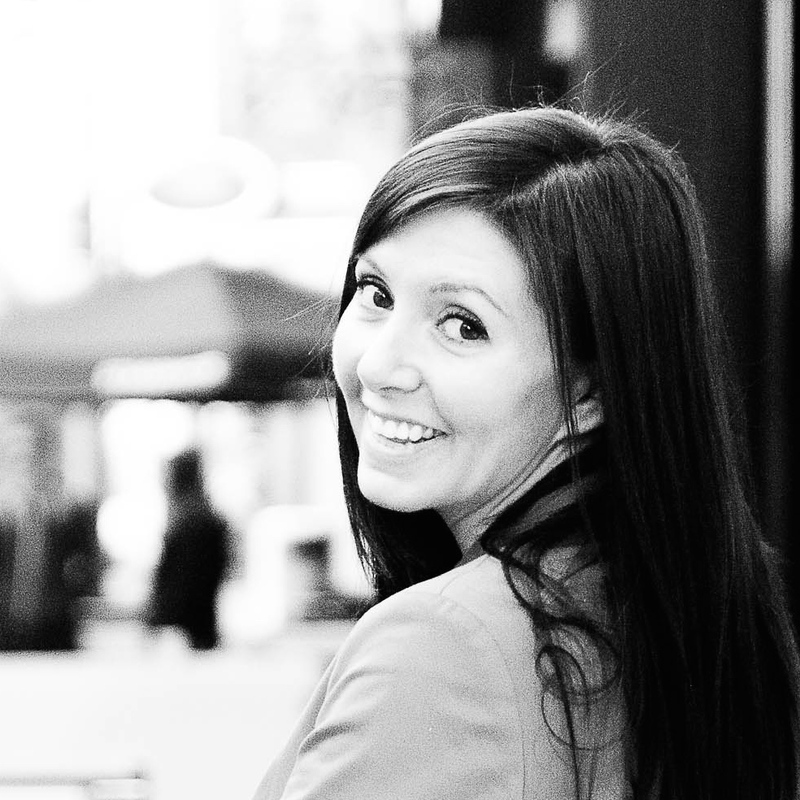 I told my husband that it is so much different this time around, because everything just feels so routine. We don’t have the same excitement for these monthly appointments, because they are relatively boring. 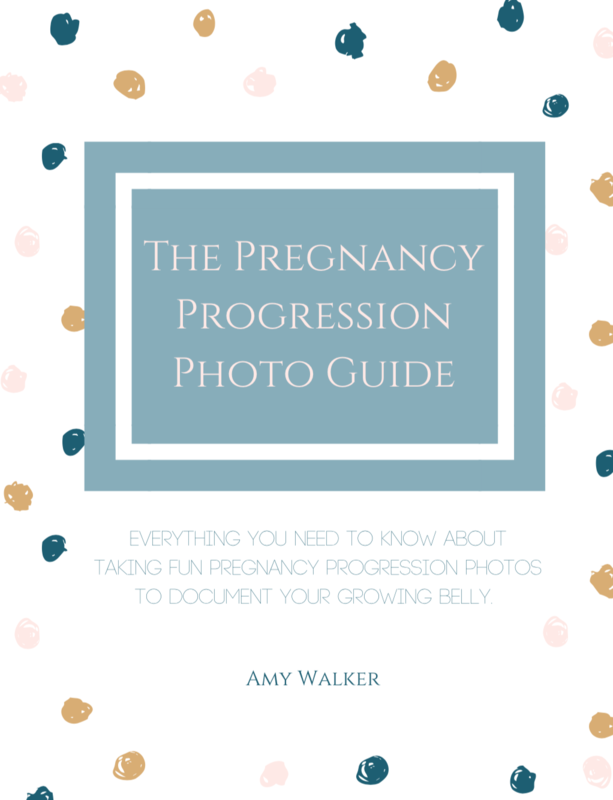 What I’m loving about pregnancy: I can really feel the little guy moving around. He is very strong, and very active, and I love it. When I hold Brooks at night, the baby bounces like crazy! 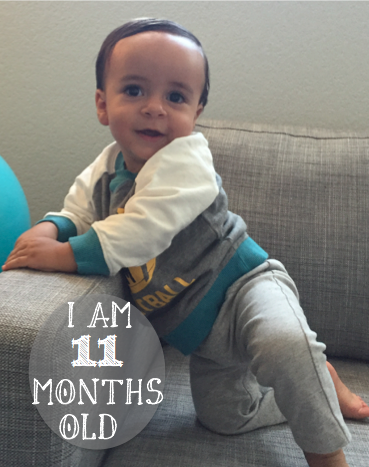 What I’m missing most during pregnancy: I don’t feel like I am missing too much this week! I think, more than anything, I am missing sleep and downtime. But that isn’t so much because of pregnancy. I am just really feeling worn out! Cravings and Aversions: Still…I am obsessed with spicy chicken sandwiches. I am really hoping to curb my fast food consumption next week, because it is making me feel terrible. Damn stress eating! I am looking forward to: I am ready for all things fall: cool weather, apple cider, snuggly sweaters. And I am excited for the munchkin’s birthday next week! J And of course I am looking forward to next week’s appointment. Staying fit: Confession: I didn’t do well this week at all. I made it to the gym twice; once to work, once to work out. And I feel like I can really feel in in my back and hips. I need to move. I am hoping work calms down a bit, and I can work out consistently this week. One thing I have done consistently is meditate, to try and deal with some stress and anxiety I’m battling right now. Our family: Brooks is sleeping better, and we are hoping for more calm weeks ahead! We are all excited for the munchkin. 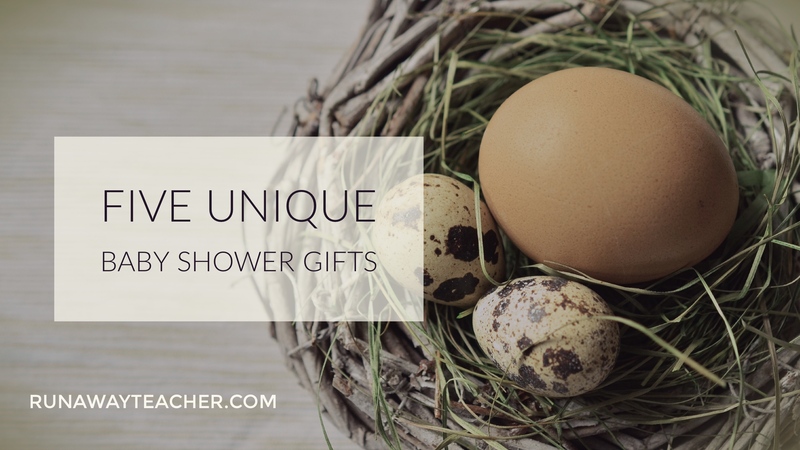 My husband is being incredibly patient with my nesting as we prepare for the little one! Currently reading: I am just about Ina May Gaskin’s Guide to Childbirth. 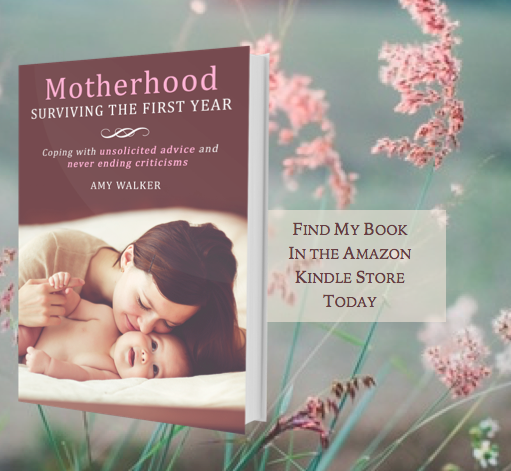 The final chapters of the book are quite similar to Natural Hospital Birth, so I am just skimming those final chapters. And, I did receive Hypnobirthing from the library. I am having a hard time getting into it, as I am less interested in knowing the historical aspect of hypnobirthing, and more interested in how I can apply it to my own labor. But I will keep pushing through. I think I am going to make the shift to some fun, light reading now, at least for a while. I won a copy of The Guernsey Literary and Potato Peel Pie Society, from Goodreads, so I think I may read that next! 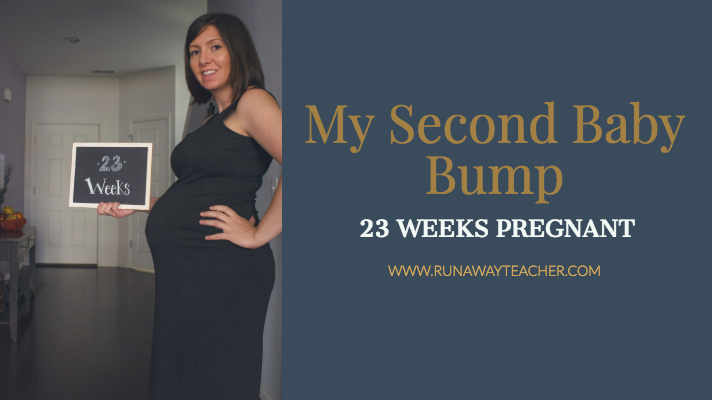 Click here to read more about my first pregnancy at 23 weeks. 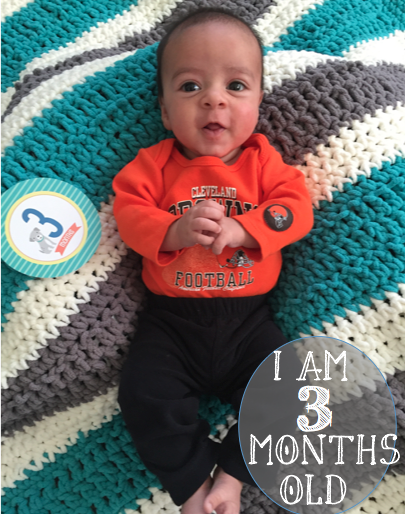 Baby is Three Months Old!